If you feel that your paid search efforts could offer your business more long-term value, the benefits may be enormous when taking a close look at how organic search may drive qualified leads, revenue (and ultimately prized profit) into your organization. Optimizing your web content for viewer needs in a power-packed step in on-page foundational SEO best practices. Content Marketing is a fast paced growing marketing focus needed to keep up viewership. More multifaceted than ever, both the skill and reach of quality, unique and engaging web content is a must. Explosive new media and technologies mean more business marketing messages are produced each day. Every piece of content a marketer generates promotes a business goal, and to succeed it must ultimately serve your audience in the process and answer their queries. In the June 19 post titled What Content Marketers and Journalists Need to Learn from Each Other, Moz talks about what a smart content marketer must do. With the press for effective content that is produced efficiently, editorial calendars, style guide compliance, and integrated teams are turning into bonafide brand newsrooms. Our main objective in content marketing is to promote brand awareness and affinity. Ideal content articulates the subject matter as “the expert” with a clear message that gives the audience what it is looking for. Then building analytics tracking to measure content engagement adds a significant contribution. From content tracking, business owners are empowered to make clear next-step plans for revenue enhancement. By engaging an experienced Digital Marketer, you benefit from advantages that reveal a golden opportunities for your content marketing and stay up with Google ranking changes. There is much more to it than just using the customer’s name in your email marketing messages, or re-marketing plans; rather, learn how to incorporate answers to his or her needs upfront in your web content. These answers are showing up in more Google hosted features and may be included in Google Map Packs in the future. In recent year, we’ve had the opportunity to interview and work on dozens of growing businesses led by savvy entrepreneurs who leverage an “optimized content-first” business model. The deeper we delve, the more similarities we found among business models that engage optimized web content. After analyzing the businesses, six steps clearly emerge to create quality content that services both viewer need and search engine ability to connect queries to related web content. Regardless of the dollar amount you invest on creating content for your website, viewers will quickly leave if it doesn’t engage their attention. According to the Nielsen Norman Group, individuals who browse the web typically leave a newly found website within 10 to 20 seconds. Forget that second chance to make a good first impression; you need to do it right straight up – if possible. Using a few content optimization strategies, you can retain viewers’ attention longer, while generating new prospects and higher revenue. Website viewers find much demanding their attention; with so many things competing for their focus, they don’t have time to puzzle over your website’s purpose. It is best to speak to them – not at them. Offer free items that viewers want. Stage them with compelling headings; include digital material such as tip sheets, compelling images, videos, news articles, and downloadable e-books. Be giving. With solid planning, you can capture viewers’ attention and encourage them to stay longer. This should be your focus when optimizing, as well as adding the structured data that helps visitors find you in the the Knowledge Graph and Google featured snippets. “When it comes down to it, producing excellent content and using paid search for promoting it to the best of your ability should still be seen as the gold standard of not just link building, but also SEO as a whole. This is why many experts are touting content strategy as the new SEO,” says Forbes Magazine. When businesses solve problems and answer online queries with a structured approach to content, those who visit their web pages are more likely to become repeat buyers and followers. Your lead generation strategies will work better for you. We start our web content plan by first uncovering the top topics/services around which the business model will be based. To achieve a better result, we identify a sweet spot that will attract an audience over time where is a high volume of queries or niche need and make it understandabe with structured data markup for the intersection of a knowledge or skill set (where the client has a key competency) and a passion for offering this great value to users or an inherent value to the target audience. Sales are the single most important factor in which a business can gain more revenue. This allows you to hire people, buy equipment, introduce products or deliver services. Without sales, there is no future for a business. But your web content needs to drive those sales. Optimizing Your web content for Discovery by Search Engines. We show you how to optimize your website content for SEO, discovery and improved lead conversion in the coming year. * Find a niche that is specific enough to unique address, but broad enough to fill your marketing funnel around your business objectives. * Locate where your ideal customer within your market niche hangs out. They probably favor certain blogs, correspond on favored social sites, attend particular events, and like a certain ambiance online. * Create buyer personas that best reflect the average customer you are targeting. Try to gain an understanding of their demographic makeup as well as their psychology, what emotional messages they respond to, beliefs, etc. * Use this focus on what buyers want as a guideline for building your content marketing efforts around “their” needs. * Seek to understand Google’s current manner of awarding website who use semantic markup to assist search engines. What makes this approach so powerful is that it makes discovering and appealing to your customer’s genuine interests a central focus. This aligns your content with the goals of Google and other search providers. So even though this is not “SEO” in the sense that the term has come to be understood, Creating digital content from a plan that meets viewers need first and is secondly, optimized for search certainly goes a long way. * 82% of all Marketers surveyed curate content. *16% of Marketers are daily curating to add value for their audience; 48% are curating from third party sources on a weekly basis. * Over 30% of survey respondents admitted that their content marketing plan could largely be defined as “winging it”. * At the same time, more than 76% of the same participants said that content curation should be a medium to a high priority for their business. * 83.3% of Marketers find and share content from 3rd party sources (found on blogs, social media, industry publications or news sites) with their website viewers and/or in their social network. Integrate such content with your own comments and give full attribution. * Slightly more than 50% of Marketers surveyed say that curated web content has increased their brand positioning, thought leadership, visibility, web traffic and buyer engagement. * 41% of Marketers indicate that curate content can be attributed to an increased in the number and/or quality of their lead generation efforts that are ready to make a purchase decision. New channels keep opening for Content Marketers which provide new opportunities. This competition also forces older channels to evolve and emerge with new opportunities for its users, like Facebook and its newsfeed. Know where to add to the new content and keep a diverse presence with the right content for the right audiences can bring more value today than ever before. If your Google Analytics data indicates that user’s “time spent on FB slightly declined” or “Google SERPs are referring 3.1% fewer clicks than in the previous year,” it is erroneous to assume that content consumption as a whole has lowered. It is not that people are turning less time to their phones and computers; rather it is an indication that where and people are consuming your content is changing. More competition due to more overall content to choose from. Ongoing shifts in consumer consumption preferences; just how users consume, like, and share what they read online is always changing. Improved savviness of content consumers who now recognize low-quality content faster, from further away, and without even clicking on a blue link (due in part to featured snippets) . Formerly most users reached a web site by typing words in a search box; today they are speaking their search query to gain information. “Voice is beginning to replace typing in online queries. Twenty percent of mobile queries were made via voice in 2016, while accuracy is now about 95 percent,” states recode.com. •	In 2014, 76% of customers reported they halted making purchases from a company after a bad experience when expectations failed. That figure has climbed to 82%. Content needs to be an accurate reflection of products and services. •	The percentage of real-time, online purchase conversations that rely on using Intercom is skyrocketing, and is now hovering near 400 million. 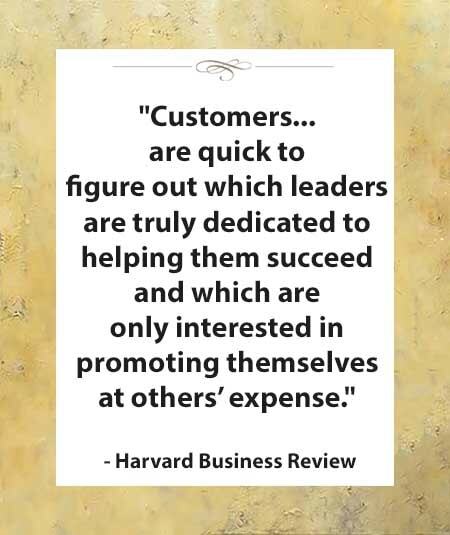 •	Customers are also seeking to understand how businesses operate before they complete a purchase. A company’s “How We Work” or “About Us” page is frequently the most-viewed content after the home page. Therefore, it is key to provide web pages that disclose who you are and how to do business with you. LinkSmart says that “58% of businesses in North America planned to increase their content marketing budget for 2019. That increase comes on top of $118.4 billion that was shelled out in 2013 for content marketing across the globe, including video marketing and social media. Marketing spends are predicted to place internet advertising near 25% of the whole ad market industry by 2015. While that dollar figure may seem staggering, content marketing is a 62% cost savings over traditional marketing and generates 3x more leads. Your businesses can boost website content with stronger calls to action. Conclude each web page with a priority call to action that is woven into that page’s unique content. Use Google Analytics to identify each pages placement in your conversion funnel(s). Depending on where your prospect is in the sales funnel and the purpose of the page, craft a clear and compelling next step for the reader. Refined web content is highly useful for gaining better optimization; digital lead generation, audience targeting, and stronger distribution metrics. 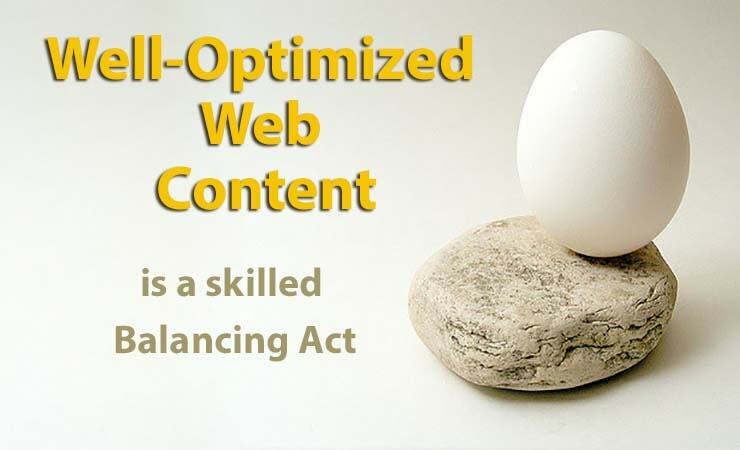 Understandably, it is easy for small business owners to feel overwhelmed with tasks of continually created fresh and valuable optimized web content. Be willing to dedicate time to it or hire help to implement your business plan with excellent follow through. When accomplished professionally, it always pays off. Step over the threshold of being daunted and never starting. The key value of a content strategy is that it saves more in time and monetary costs with returns on investment in the form of new customers. The investment is worth every bit of it. When a machine and a VA may be well designed to handle certain aspects of it, you need to be fully aware of your content marketing challenges and wins. 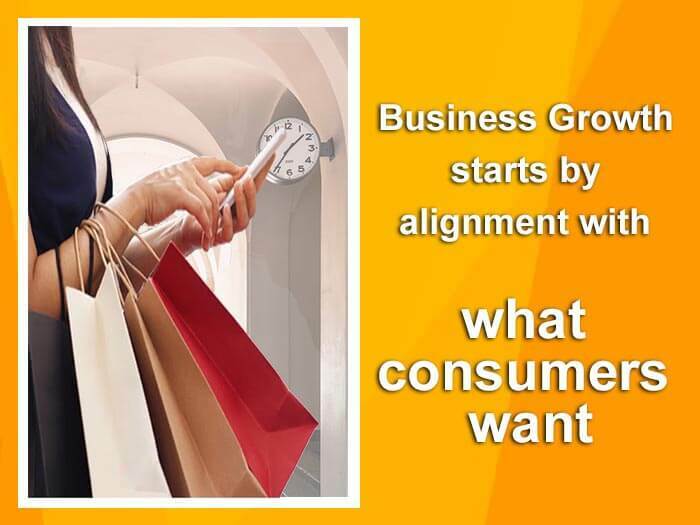 Delivering on business growth starts by alignment with what consumers want. As a Marketer, I encourage my clients to draw their future web content from strategic insights and tactical activities with supportive data. You are fortunate to have content marketing related research and data available from your analytics and dedicated research professionals. Content Marketing involves strategic efforts to help brands create interest, relevance, and build relationships with consumers by producing, curating, and sharing web content that provides solutions and delivers visible value. Set up a system to measure the effectiveness of your content marketing program. Engage the services of an analytics expert who can read the data and know to implement key insights that are gleaned for content building. Strive to make your content marketing a savvy process for developing, executing and delivering your web content and related assets so that they create, nurture, and boost your company’s customer base. Content marketing process steps may include a foundational strategy; content development; additional asset development; and channel leveraging across outbound marketing platforms, inbound marketing, and conversion development for sales. Google stated it clearly that it will always favor content that is relevant to the page, which is much deeper than just setting your primary keyword to match page content. Users are the key drivers of change in what web content gets consumed the most. We see a growing hunt for high-value content among prospective B2B buyers. As this trend continues, strong growth in the quest for content during the buying journey is anticipated. The medium of product and service supplier websites and using the web to find providers is grown remarkably; changes are rapidly updating to provided better-optimized content on mobile. Having your structured data in place correctly for mobile content will move into the forefront in quarter 1 of 2016, with Google’s anticipated AMP platform rolling out. Digital resources abound that demonstrate the significance of unique and optimized content within a great UX design. Consistent content curation and blogging typically reduce your cost per generated lead and why content marketing is a vital key in your marketing mix. AdWords conversion tracking is very useful for paid search, and Google Analytics is useful for demonstrating what buyers are most interested in on your website. While site optimization carries a necessary role in online media, the behavior of the B2B buyer shows they want more compelling details at every step in the buying process. Buyers went to see your communications consistently available with solutions they need – and they are looking more often than ever on social channels and Google Search. While your optimized web content for static pages evolves less frequently, set up a content calendar to point to them from your social networks to content that answers questions asked at each stage of the buyer journey. Users are the key drivers of change in what web content gets consumed the most. We see a growing hunt for high-value content among prospective B2B buyers. As this trend continues, rapid growth in the right content during the buying journey is anticipated. The medium of product and service supplier websites and using the web to find providers is grown remarkably; changes are rapidly updating to provided better-optimized content on mobile for voice search. Having your structured data in place correctly for mobile content will move into the forefront in quarter 1 of 2016, with Google’s anticipated AMP platform rolling out. Digital resources abound that demonstrate the significance of unique and optimized content. Consistent content curation and blogging typically reduce your cost per generated lead and why content marketing is a vital key in your marketing mix. AdWords conversion tracking is very useful for paid search, and Google Analytics is useful for demonstrating what mobile-friendly content that buyers are most interested in on your website. While site optimization carries a necessary role in online media, the behavior of the B2B buyer shows they want more compelling details at every step in the buying process. Buyers went to see your communications consistently available with solutions they need – and they are looking more often than ever on Google+ and Google Search. While your optimized web content for static pages evolves less frequently, set up a content calendar to point to them from your social networks on a regular basis. SEO copy-writing is best when it focused on creating useful, compelling, and valuable content, which targets niche keywords so that other individuals will gladly share it on social media platforms and build your site’s backlinks. This increases the authority of your content, validates it, and improves your ranking in Google for the corresponding keywords. Before you implement the principles of optimized web copy-writing, remember there are things that should come before on-page optimization. These include site speed and repairing any broken links first up, but there are many others. Your content may be just what viewers are searching for, but if your headline is mediocre – poor, your click-through rate will be minimal. Because this makes a bold statement about the page content, spend adequate time being original and meeting viewer interests. Also, I also check a business’s database regularly to see if there is clutter from old plugins and then recommend merging all databases into one. Additionally, be sure to monitor your social signals, consumer reactions, online reviews, tracking analytics, etc. But we have found that improving page speed alone may increase lead conversions as much as seven percent. Also, measure and determine if you need more long-form web page content to meet user’s expectation and offer solutions. SEOs and web designers face the need to become hybrids that have blended expertise in areas of form and function as well as how a page can be found be search engines and useful for matching search intent. A concept popular within modernist design architecture and search engine optimization circles, team and consider all aspects so that the page first servers the users. By beginning with a certainty that an SEO professional provides as to consumer interest in the page’s topic and the best URL, Title and the content frame for the ideal keywords used, then designers can better optimize the attractiveness (the “form”) of their web design and site attributes with usability and usefulness (the “function”). Many content designers started out with a web or software background with a focus more akin to graphic designers, are tend to be primarily concerned with the presentation of text, images, colors, and other creative elements on-page. Today, a further developed expertise in user experience and human-computer interaction involved additional skills in ethnographic research and a study of conversion success that relies on a deep empathy with site users. By combining teams and disciplines, web content optimization includes beautiful interfaces, sites that are also intuitive, easy for users to navigate, fast loading, and enjoyable. The best world is when SEO’s, content writers, and designers that share a passion for great content, and the desire to differentiate a business by creating content that really delivers. It starts with a true and current perception of the value of SEO. Udemy** says that “While millions of online writers and companies are doing content marketing, very few are winning at it. To achieve the most positive outcomes, web content needs to be on-purpose and optimized.” Roles and hierarchies must bow to what the client site needs in order to gain and maintain consumer relationships by providing winning content. Hubspot compiled a list of what web content marketers find that users engage most in 2017. Jeannie Hill of Hill Web Creations offers marketing services, tools, and valuable information so you can glean better insights when analyzing your search performance. If you have major web content development project, we can work with you to create optimized web content that will serve your viewer’s needs. To advance on-line visibility through integrated content marketing strategies, you may reach Jeannie at 651-206-2410. If your business can benefit from guidance to get your staff current and confident in all of the efforts, read how to Optimize your Web Content Using LSI Keywords we’d love to help! © Copyright 2018 Hill Web Creations, LLC. All rights reserved. Our approach: We have always treated your data and your privacy with respect and are committed to doing so ongoing. We hold that increased transparency and more mindful consideration of what data is collected and why will benefit the industry overall. We welcome updating our site in ways that encourage better transparency that site visitors what and seek to build long-term and trusted relationships. * Personal data, or personal information, means any information about an individual from which that person can be identified. It does not include data where the identity has been removed (anonymous data). * Identity Data includes: first name, last name, username or similar identifier, title, photos or other images. * Contact Data includes: billing address, delivery address, email address and telephone numbers, and any social media accounts used to contact us. * Financial Data: At this time we do not take online payments. Which means that your financial data such as bank account and payment card details are not recorded or stored. * Transaction Data includes: details about payments to and from you and other details of products and services you have ordered or commissioned from us. * Technical Data includes: internet protocol (IP) address, your login data, browser type and version, time zone setting and geolocation, browser plug-in types and versions, operating system and platform and other technology on the devices you chose to use to access this website. * Profile Data includes: any username and password to access our systems, commissions, requests, or orders made by you, your interests, preferences, feedback, comments and survey responses. * Usage Data includes: information about how you use our site, products, informational content, and services. * Marketing and Communications Data includes: your chosen preferences in receiving marketing messages from us and any third parties disclosed to you and your communication preferences. * We also collect, use and share Aggregated Data such as statistical or demographic data for any purpose to serve you better. Aggregated Data may be derived from your personal data but is not classified as personal data in law as this data does not directly or indirectly disclose your identity. Hill Web does not accrue any Special Categories of Personal Data about you or any information as to criminal convictions and offenses. Where we need to perform the contract services that we are about to enter into or have already entered into with you or with a Customer. Where it is necessary for our legitimate interests (or those of a third party) and your interests and fundamental rights do not override the same interests. Generally, we don't depend on consent as a legal basis for processing your personal data other than when sending you marketing or third-party direct marketing communications via email or text message. You have the right to withdraw consent to marketing communications at any time by contacting Hill Web Creations or by stating your preference to ‘unsubscribe’ in any communication you receive from us. Both benefits and risks in any auctioning process exist in paid search, notably, click fraud. We take commercially reasonable steps to monitor our paid ad placements so that don’t fall prey to the risks of click fraud and work to prevent it where we can possibly do so per client agreement. We do not rely on user-generated content (UGC) for creating our articles and posts. However, we do allow people to post their own reviews and comments in their own words. We do not endorse any person or brand that may have commented or be shown in a published image on our site, an off-site article, or in social media. Many times a photographer is unknown; we respect image copyrights and seek clearances when possible and within our knowledge per posted source requests. Some content or web applications, including advertisements, on the Website, are provided by third-parties, including advertisers, ad networks and servers, content providers, and application providers. These third parties may by using cookies alone or in conjunction with web beacons or other tracking technologies to collect information about you when you on our website. The information they collect may be related with your personal information or they may collect data, including personal information, about your online actions over time and across different websites and other online services. They may apply this information to afford you with interest-based (behavioral) advertising or other targeted content. We do not control any third parties’ tracking technologies engaged to help you or how they may be used. If you have any questions or comments about such advertisements or other targeted content, you should contact the responsible provider directly. Where we need to collect personal data by law, or under the terms of a contract we have with you and you fail to provide that data when requested, we may not be able to perform the contract we have or are trying to enter into with you (for example, to provide you with our business services). In such a scenario, we may have to cancel an order or service you have with us but we will notify you if this comes up. * rights with respect to automated decision-making and profiling. (f)	'technical and organizational security measures' means those measures aimed at protecting personal data against accidental or unlawful destruction or accidental loss, alteration, unauthorized disclosure or access, in particular where the processing involves the transmission of data over a network, and against all other unlawful forms of processing. We know that people who read our site place their trust in us and we will continue working to earn it. Feel free to email us your feedback at jeannie@hillwebcreations.com. Thank you for your trust and for partnering with Hill Web Creations!